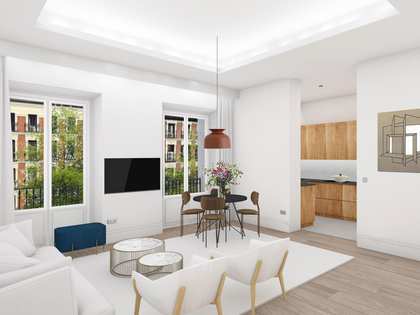 Attractive modern 2-bedroom apartment with plenty of natural light in a historical building on Calle Alcalá. Situated on the emblematic Calle Alcalá, just around the corner from the wonderful Retiro Park, this charming apartment is presented in excellent condition as it is part of a development that was completed in 2007. 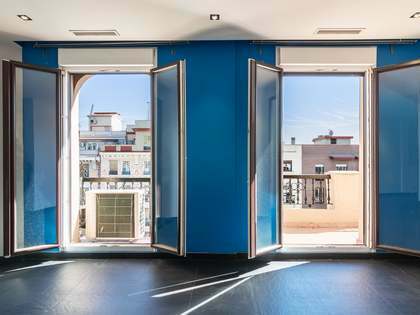 The building is historical with a gorgeous classic façade and the apartment has undergone a modern renovation. It has 2 bedrooms and 2 bathrooms, one of which has a shower and the other has a bathtub. 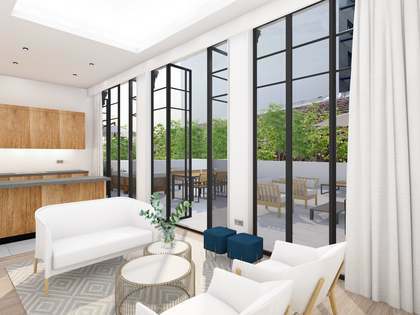 There is a fitted kitchen and a living area with 2 balconies overlooking the beautiful building façades of quiet C/ Antonio Acuña, making it a unique opportunity as a pied-a-terre in one of the most emblematic locations of the city. With wooden flooring, contemporary finishes and abundant natural light, the property is presented in move-in condition and is a very comfortable city home. A great second home or investment opportunity as it offers a good potential rental yield of 4%. Property situated on Calle Alcalá. 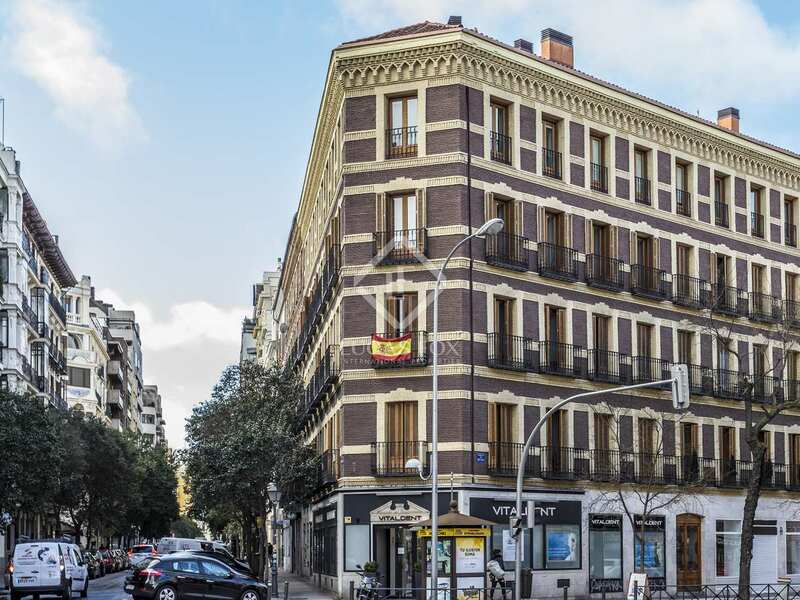 This is a great location, only a few steps from the Retiro Park and the beautiful Casa Árabe, a few minutes to the shopping of Goya and the luxury shopping of Serrano and Velazquez.